Successfully Added Fixed Antenna 20 Channel Walkie Talkie - Belt Clip + LED Torch to your Shopping Cart. 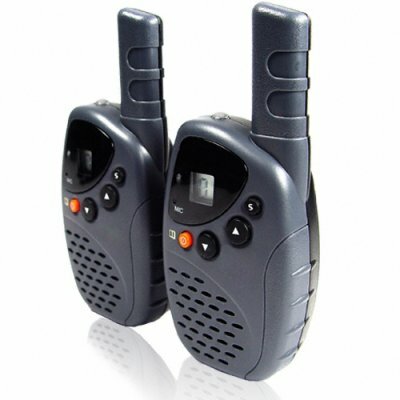 2 walkie talkie set with 20 different UHF channels to choose from, a detachable belt clip, and even a built in LED flashlight, perfect for everything from conventions and trade fairs to playing with friends. Everything you could ever ask from this entry level walkie talkie set is provided, including PTT, channel scanning, up to 2.5 km range, squelching, and even an included necklace strap for easy carrying on the move. Keep in contact with those important to you at a fraction of the price from the name brands.